Lionel Messi to Manchester City is an easy headline to write, one that gives you goosebumps on sight even if deep down you know it isn’t happening. The latest Messi to City link comes from Catalan newspaper Sport. They claim Sheikh Mansour is still committed to signing Messi and has given City chiefs approval to launch a mega-offer that could open the door to a deal. Messi would become the highest paid player anywhere if this deal ever went through, earning something in the region of £400,000 per week. According to Sport, Messi has been aware for several seasons that City’s door is wide open for him, but has so far resisted the pull of sunny east Manchester. 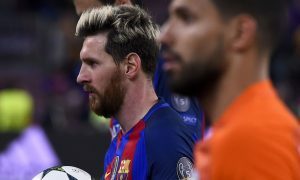 It would take a very convincing offer or Messi himself craving a new challenge to lure him away from his beloved Barca. 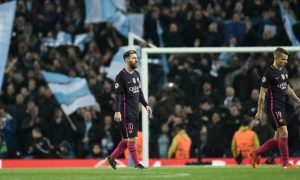 The report goes on to say that City do not intend to approach Barcelona unless Messi gives them authorization to open negotiations. Many friends and allies of Messi are at City, on and off the pitch, and it has been suggested that Barca may have to sell one of their big names to ease a bloated wage bill… but surely not Messi? We have been linked with the entire MSN (Messi – Suarez – Neymar) in the past month and if Barcelona do decide to cash in on any of them, City could be at the front of the queue. When linking us with Neymar on Christmas Day, Mundo Deportivo said City want a world superstar – and all three fit the bill.